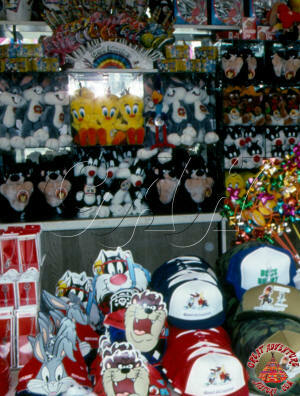 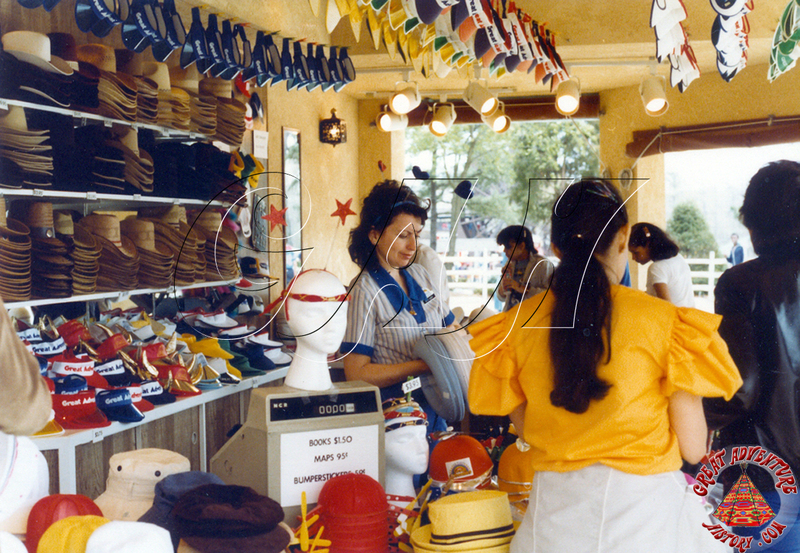 Hat shops were a staple of theme parks since their inception, with people feeling the need to buy a silly hat as a souvenir of their day out at the park. 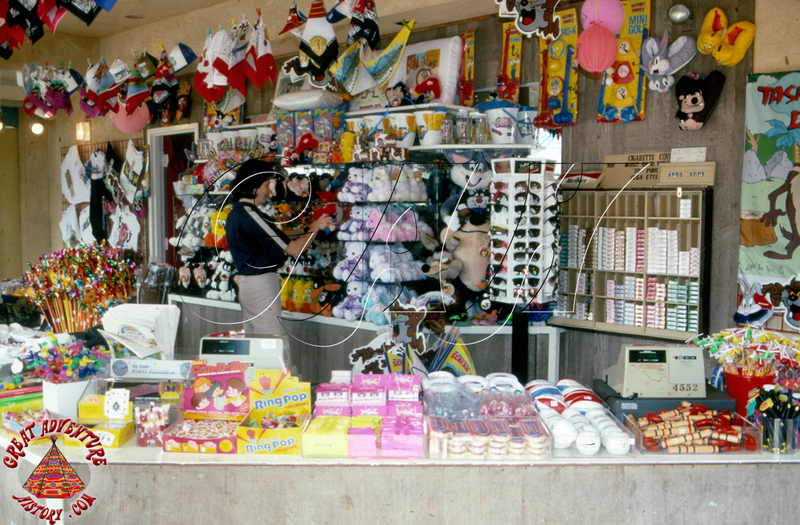 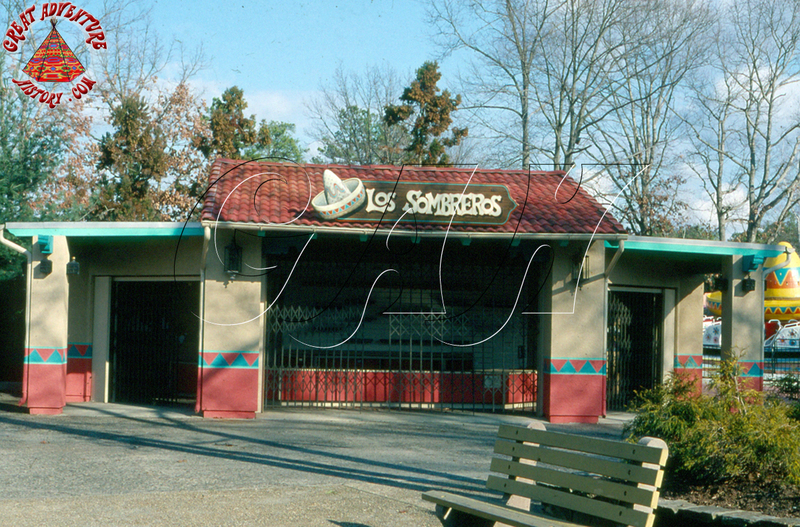 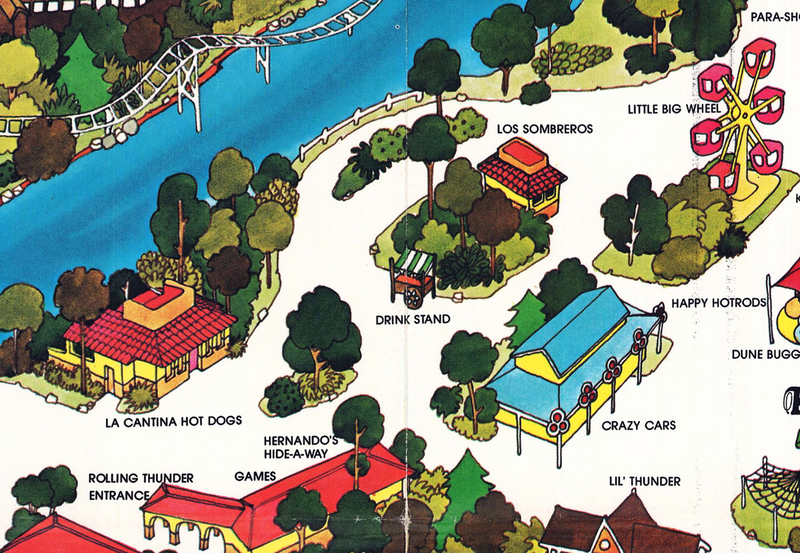 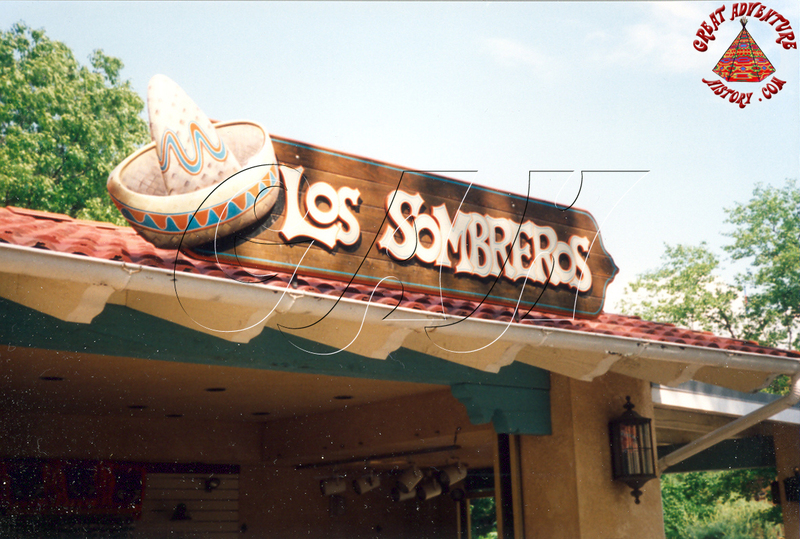 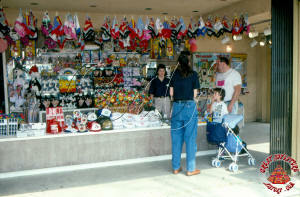 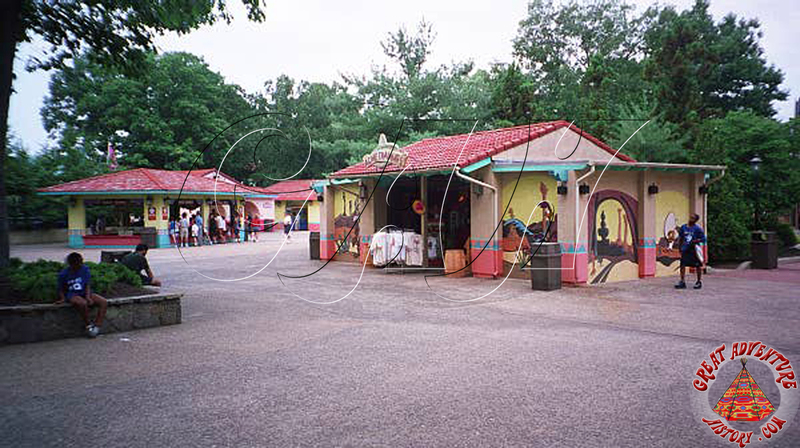 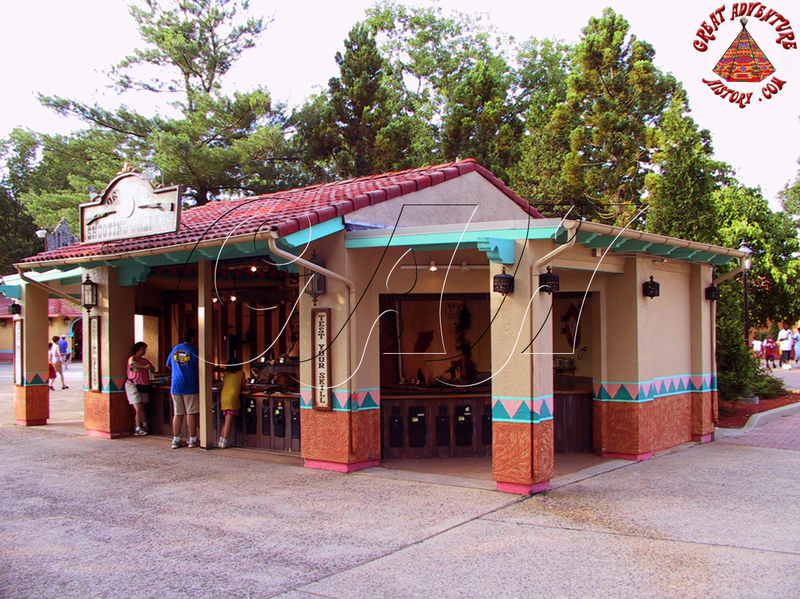 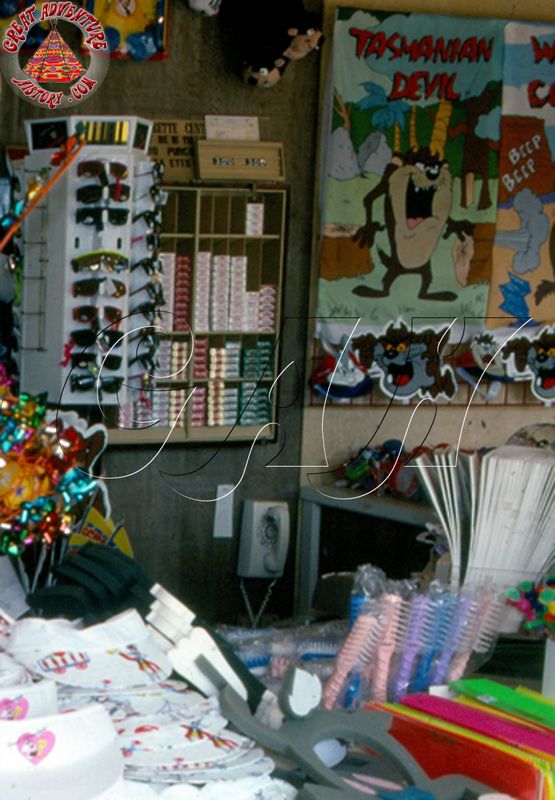 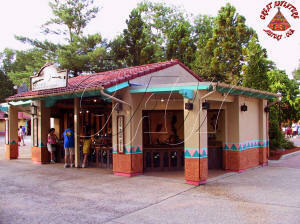 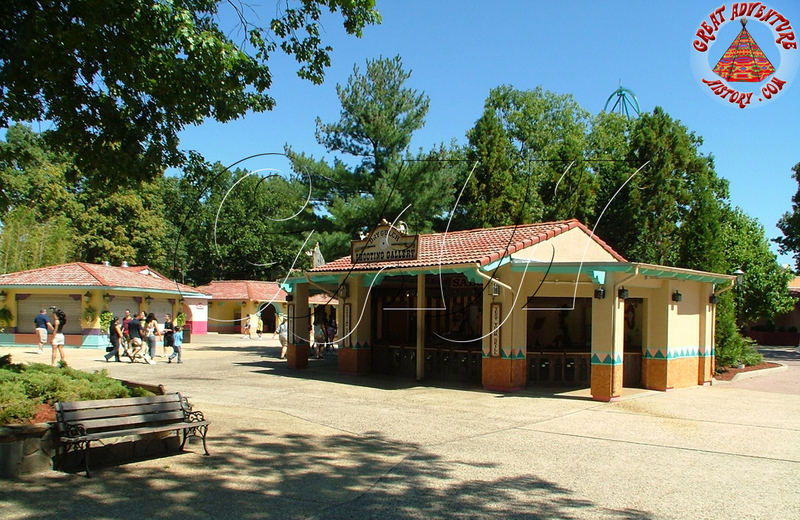 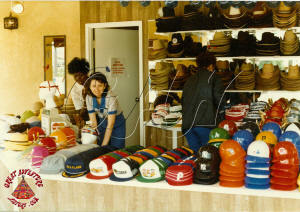 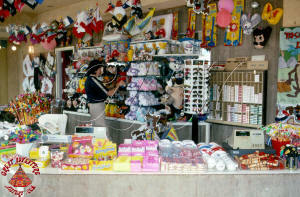 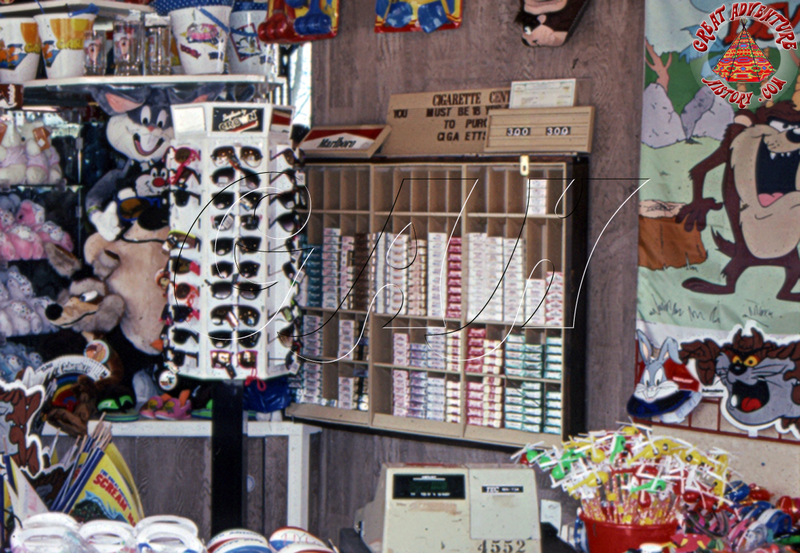 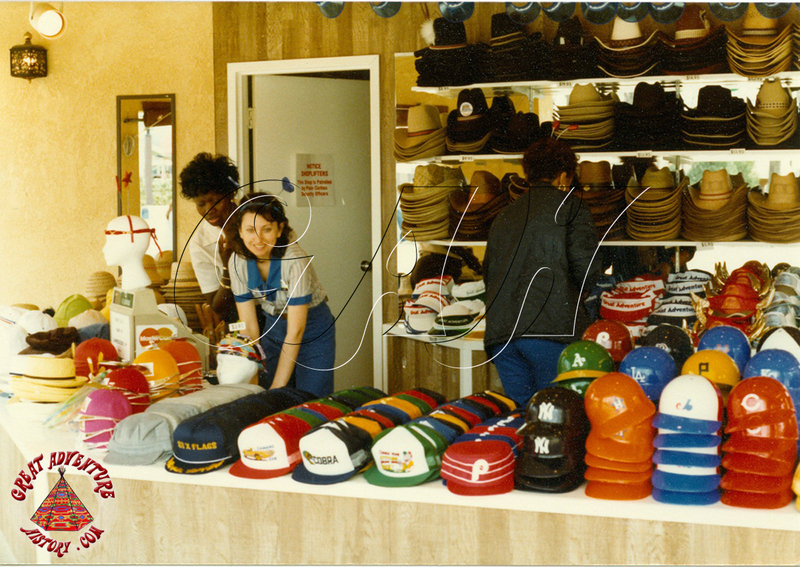 When the Hernando's Hideaway area of the park was built in 1979, one of the buildings that was built as part of the Spanish themed area was Los Sombreros, a hat shop featuring a full line of novelty and souvenir hats. 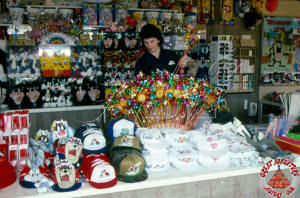 Over the seasons the selection in the shop was expanded with other souvenirs and sundries rounding out the selection of hats. 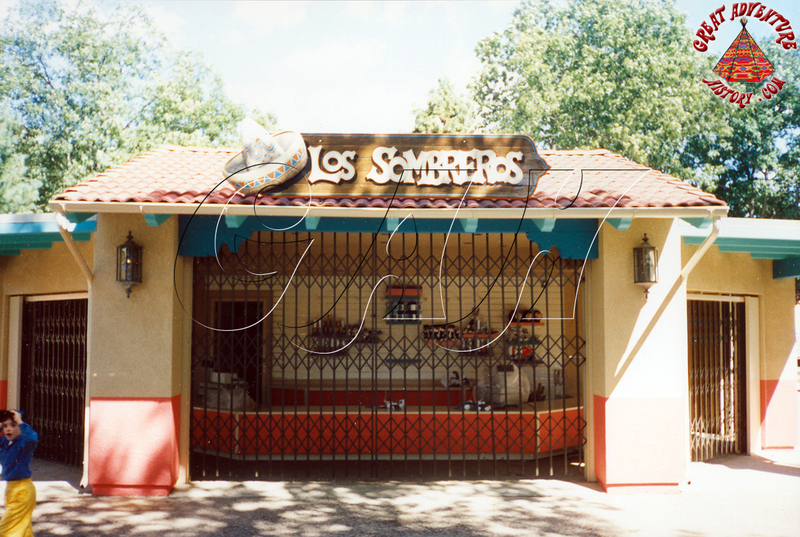 The shop continued operating as Los Sombreros until the Hernando's Hideaway area was incorporated into the neighboring western area to become Frontier Adventures. 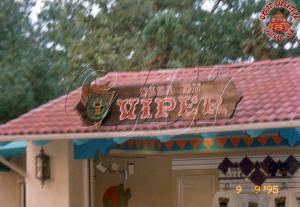 With the addition of the Viper roller coaster, the shop became Casa de Viper, offering a full line of Viper souvenirs. 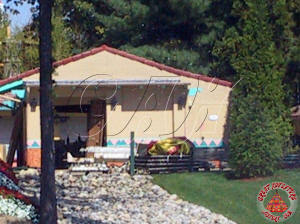 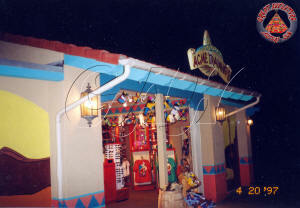 The shop then became the Acme Trading Company and new Road Runner style murals were added to the sides of the building. 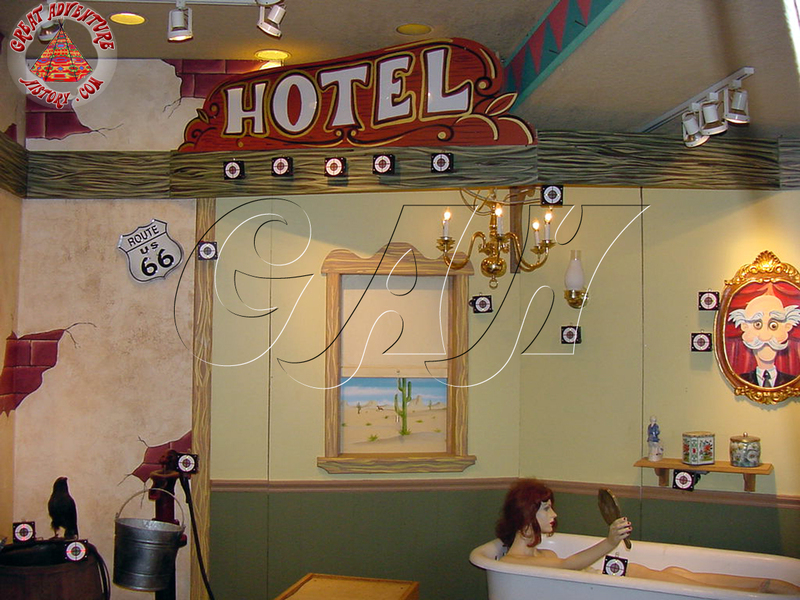 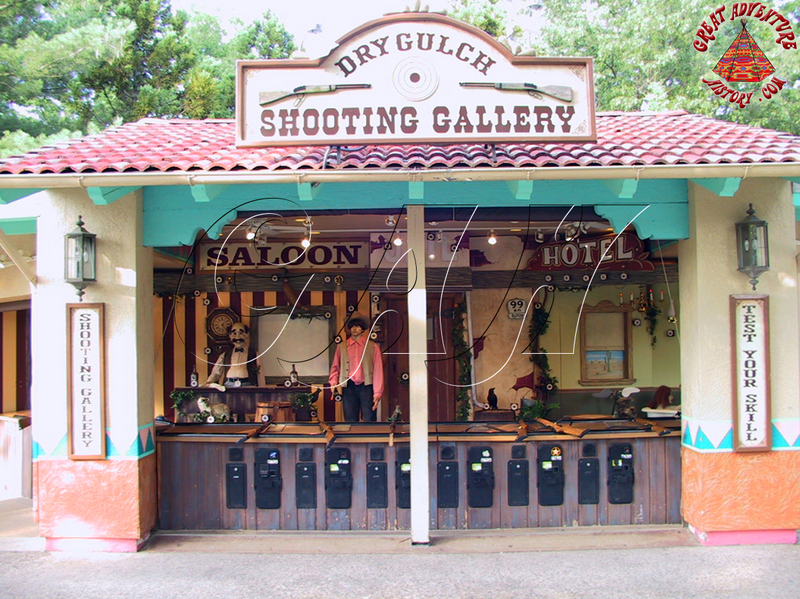 For the 2001 season the stand was converted into the Dry Gulch Shooting Gallery. 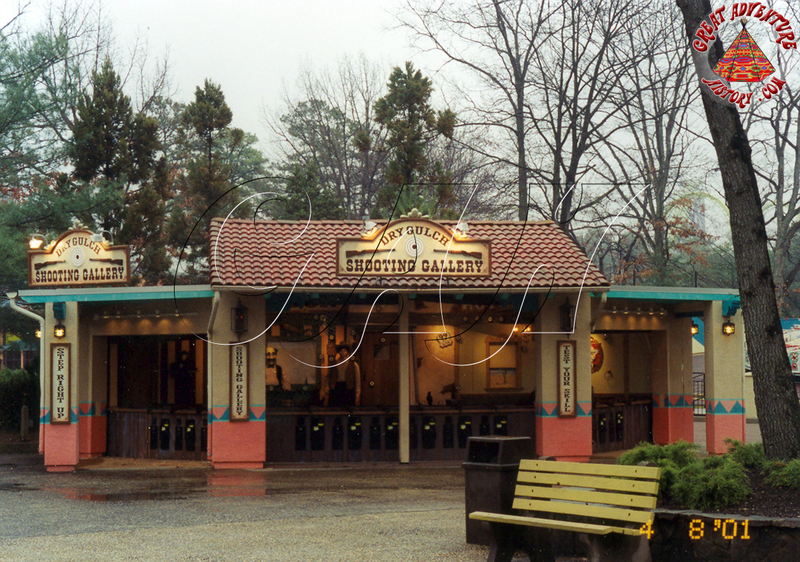 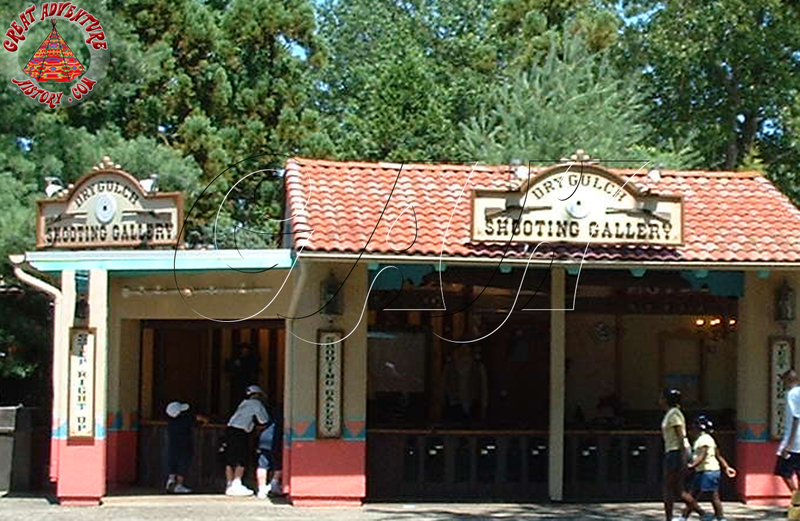 This was the fourth shooting gallery location in the history of Great Adventure, a spin-off of the Western Shootout in a more visible area of the park. 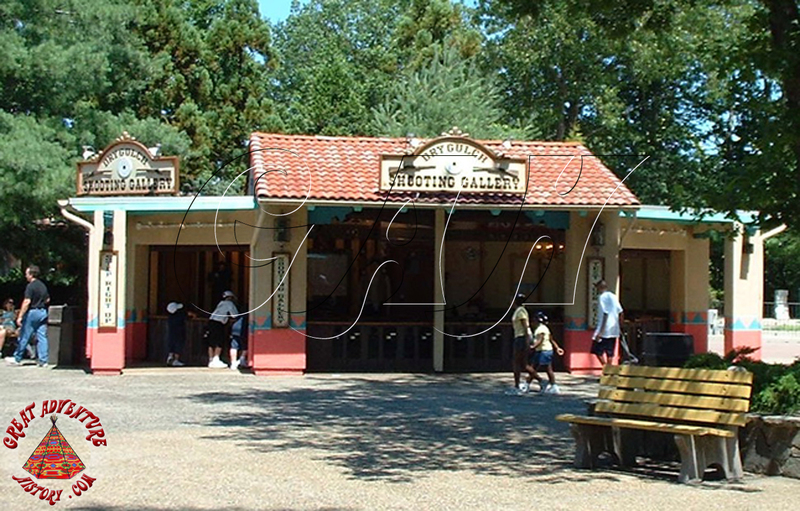 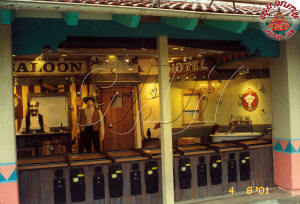 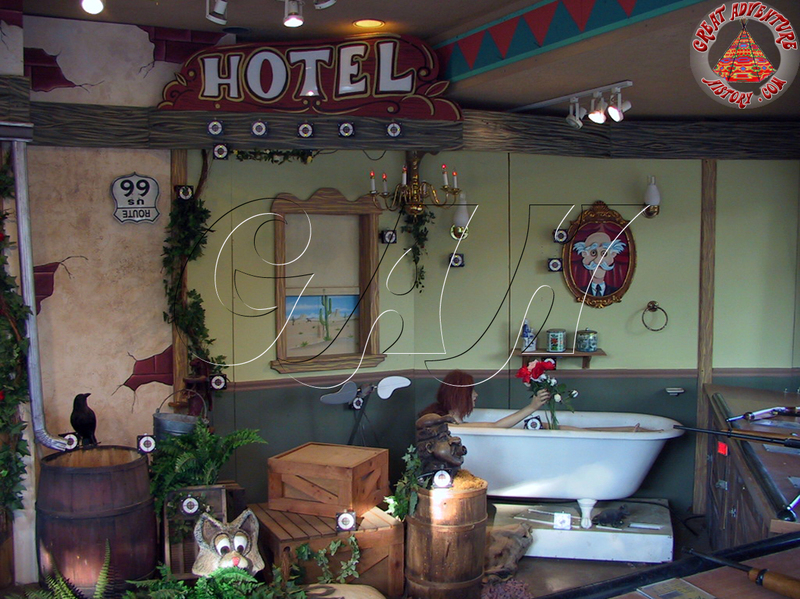 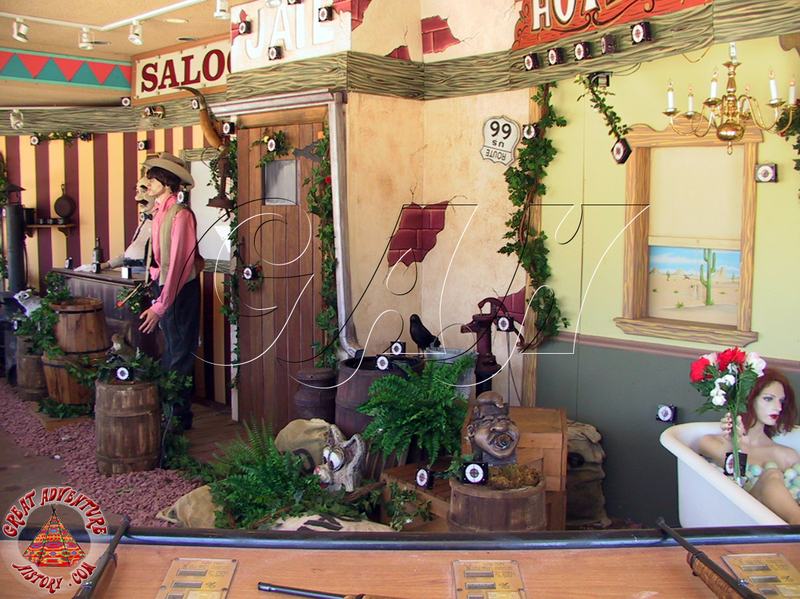 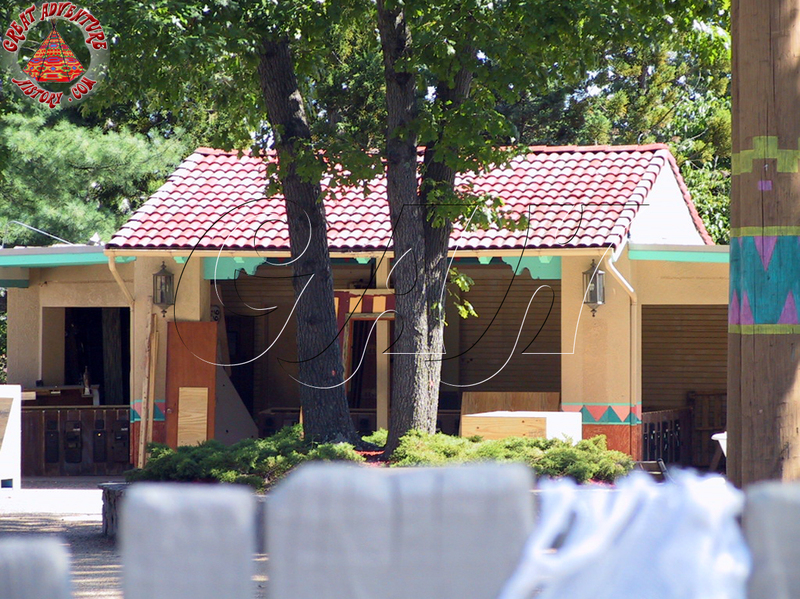 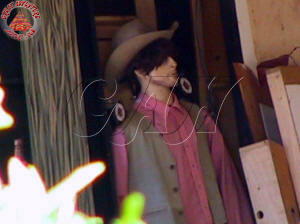 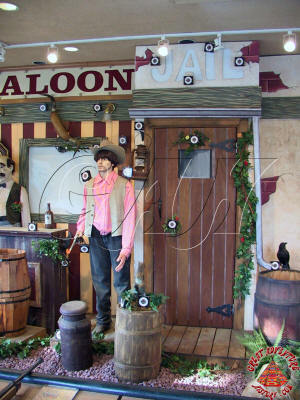 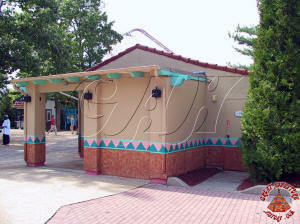 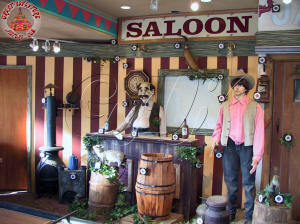 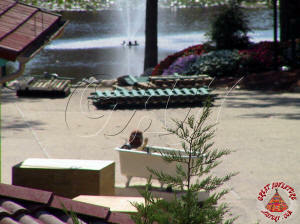 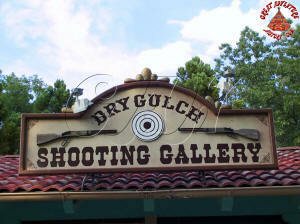 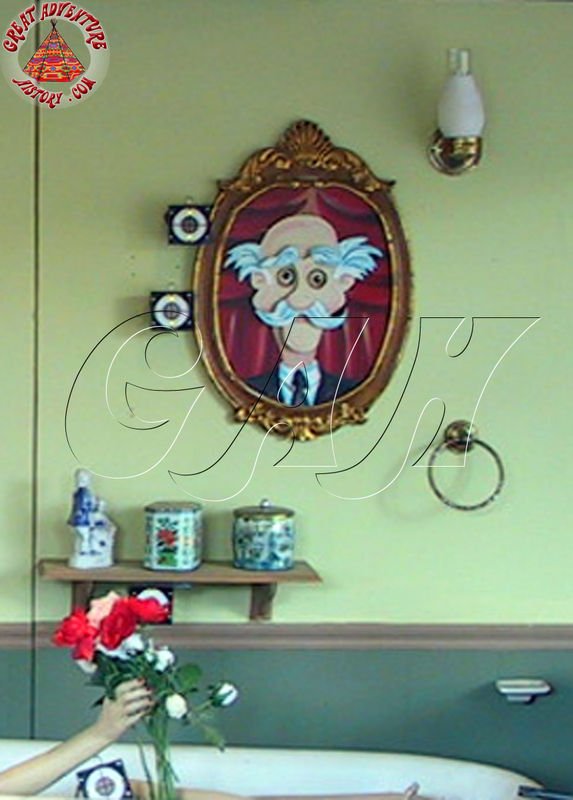 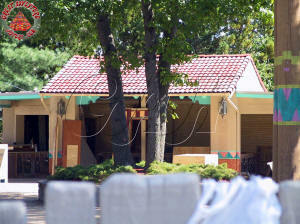 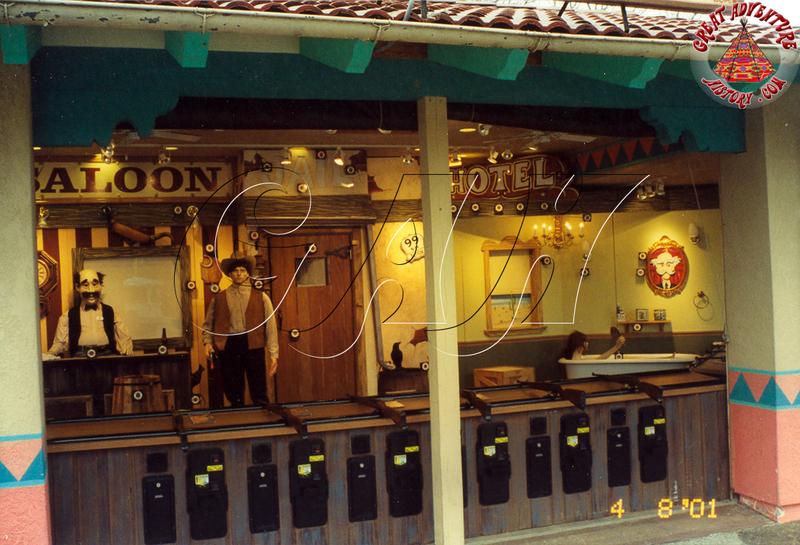 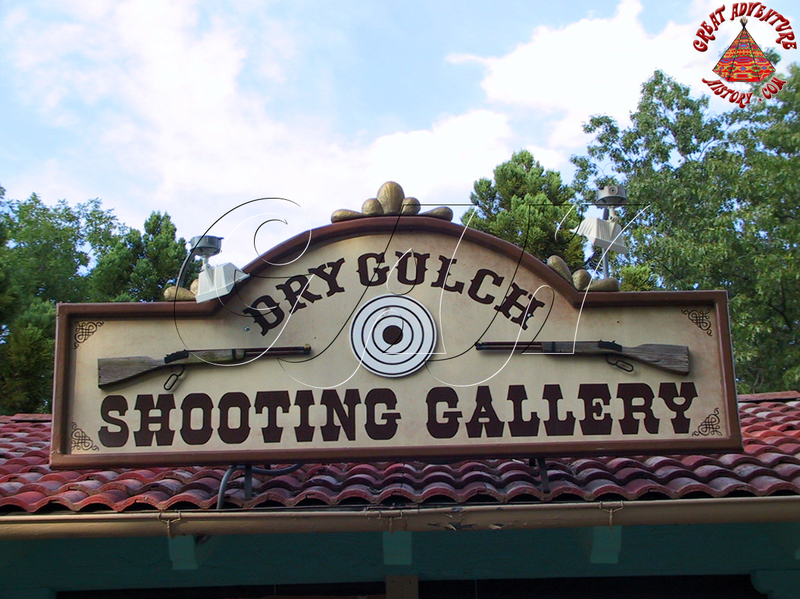 The Dry Gulch Shooting Gallery continued to operate until the end of 2005 when the area was slated for demolition in preparation for the arrival of El Toro for 2006 along with the all new Plaza del Carnaval area which would be a complete update and renewal of the old Hernando's Hideaway area. 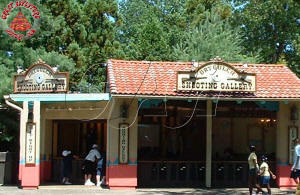 In preparation for the demolition of the building, the shooting gallery pieces were removed. 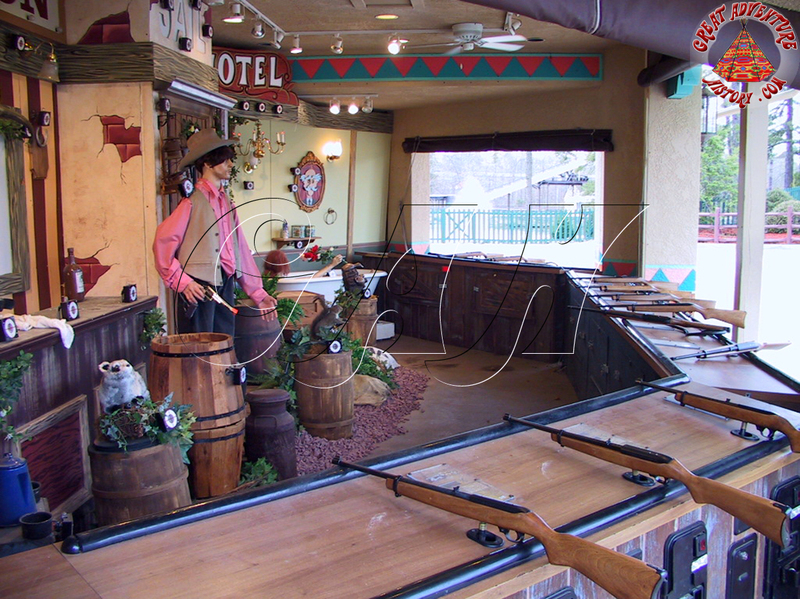 It is unknown what happened to those shooting gallery elements.